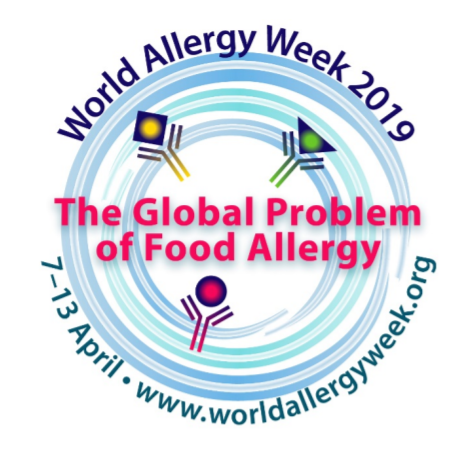 talkhealth > Blog > 2019/04 > It's World Allergy Week 2019! This week (7-13 April 2019) is World Allergy Week! The World Allergy Organization (WAO) and organisations like us work hard to dedicate the week to raise awareness about the global problem of food allergy. This affects the quality of life of both adults and children and impacts families who live in fear of accidental exposure to a serious or fatal reaction to certain foods. We’ve recently seen this in Natasha’s story, a young girl who had severe allergies and died after eating a Pret baguette sandwich containing sesame seeds baked into the dough. While there is no cure to food allergy yet, and avoiding certain food allergens is the only approved treatment, along with rescue therapy in case of an emergency, this week highlights how essential proper diagnosis and therapeutic interventions are for disease management, safety and improved quality of life. Throughout this week, a range of charities, health organisations and individuals will be sharing advice and raising awareness across the web and on social media, so please check out #worldallergyweek and let’s keep the conversation going about how important it is to get the right treatment for anyone suffering from food allergies. Join us and help spread the word about food allergies this week! If you’re suffering from any allergies or would like to get more information for a loved one, don’t forget to ask your allergy questions in our dedicated allergy forum. If you’d like to find out more about this, check out this helpful guide from World Allergy. This guide includes information for a general audience as well as physicians.